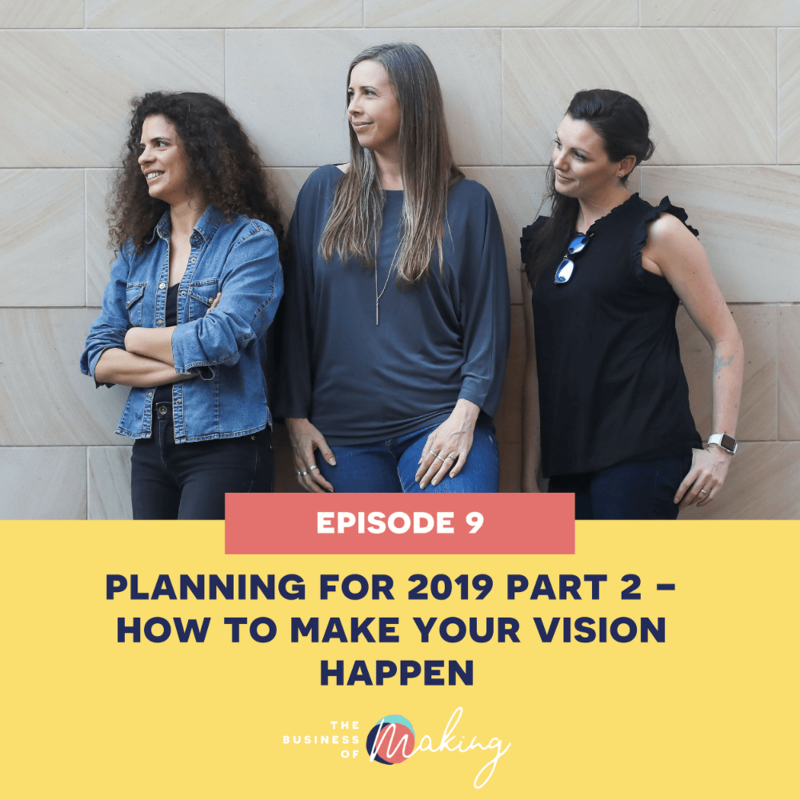 WElcome to part 2 of our mini-series on planning for your handmade business in 2019. In this episode, we move beyond visioning and into the details of planning and goal setting. In other words – we outline how to take your vision, and make it a reality. It’s so easy to dream – to have grand ideas of what our business will become – but unless we turn those dreams into concrete plans, it’s all too easy for those dreams to stay nothing more than a wish in our heads for year upon year. We have to learn how to take a dream and extract all the action steps that we need to follow to actually achieve what it is we dream of. We share our own personal planning techniques, as well as give you a bunch of tips for how to best turn your vision into reality in 2019.
we now have a patreon page! Help us to keep the show going and growing by becoming a supporter on Patreon for as little as a $1 per month! Get a bunch of rewards – including behind-the-scenes photos, video & audio, links to your business – you could even get a shout-out to your biz on the show.